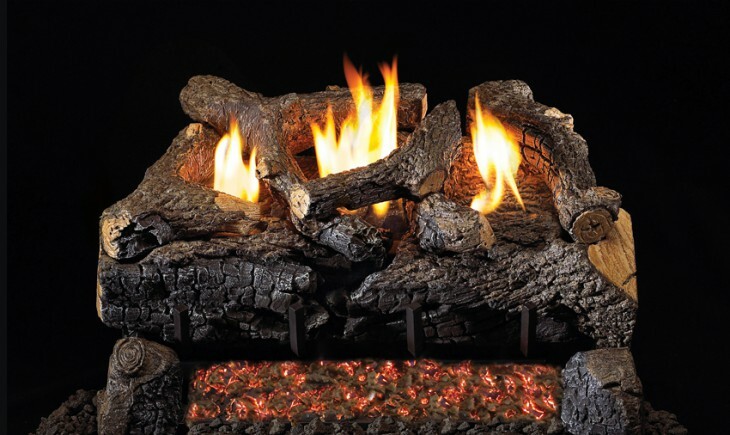 Peterson's G-18 Vent Free Burner and hand painted logs are available in 18", 24" and 30" sets. BTU ratings on the G-18 burner are up to 40,000 BTU's. Fuel sources include natural gas and propane. Available in manual, on/off remote, variable remote and electronic variable remote. See-thru burners and logs are also available.